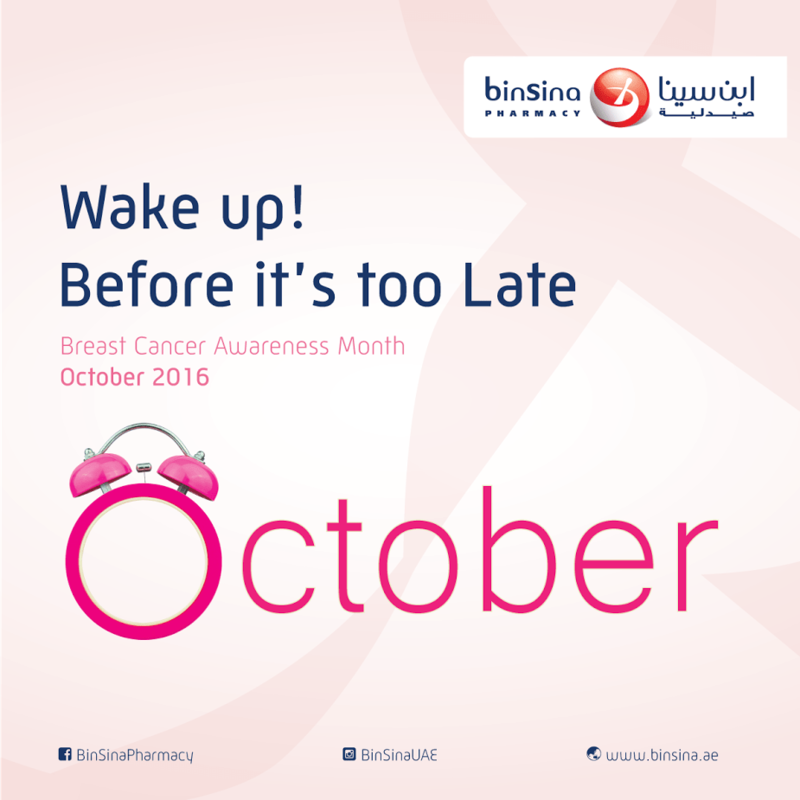 In line with its commitment to the community with respect to woman’s health and their well- being, BinSina, one of the premier pharmacies in the UAE is organizing a month long Breast Cancer Awareness campaign which coincides with the World Breast Cancer Awareness Month. According to medical experts, the key to effective breast cancer treatment is early detection. While over the years most people are aware of breast cancer, many forget to take the steps to have a plan to detect the disease in its early stages and encourage others to do the same. Bin Sina pharmacy will highlight the causes, symptoms, risk factors, regular screening methods and will emphasize on the need for early detection to effectively fight the devastating disease. BinSina has innovated the look and feel of the pharmacies, with a main objective, to improve the shopping experience of customers, locals or expats, by giving them some advices about healthy lifestyle. BinSina Pharmacy aims to enhance the quality of life in the UAE by organizing Awareness Campaigns all over the year. In November, BinSina will focus on diabetes awareness.